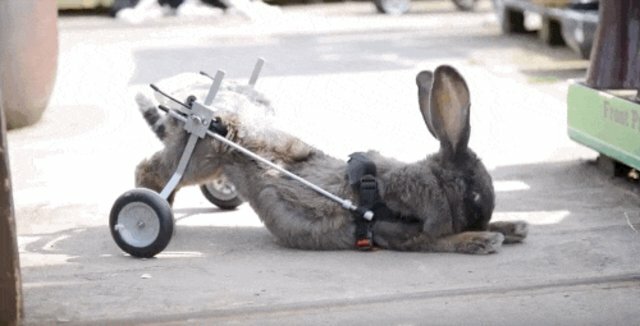 When Bertha the rabbit lost the ability to walk this past May, the vet wanted to give up on her. But her owner said no. 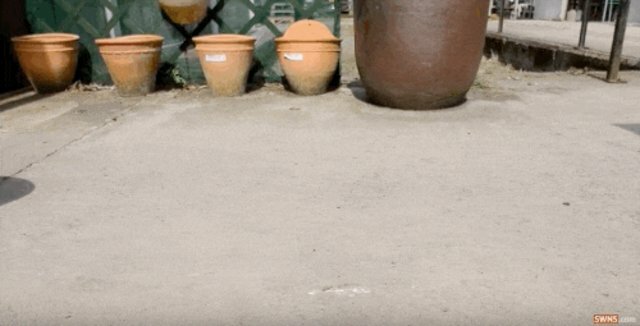 Bertha was just 4 years old when an injury made her lose the use of her back legs. But Melanie James, who's had Bertha since she was just a baby, knew that Bertha's story wasn't over yet. "When the vet said the nicest thing to do would be to put her down, she still had so much life," James told South West News Service. 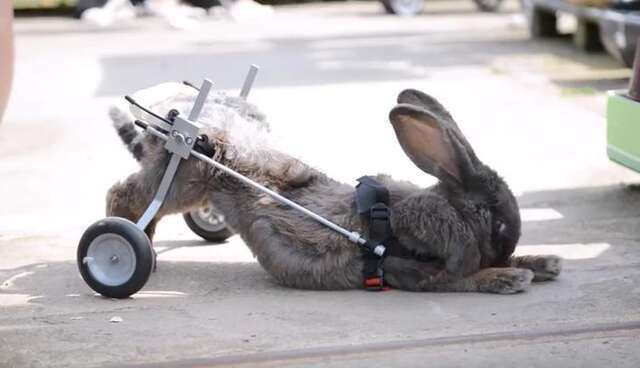 "I've actually seen dogs in wheelchairs and I thought 'if it works for a dog, then why not a rabbit?'" So James went out and bought a small dog wheelchair, which she modified to fit Bertha. Now, the feisty rabbit is zooming around just like before, rolling through the garden and happily grooming herself. And the good news doesn't end there. Inspired by her significant improvement, Jones hopes that eventually Bertha might even outgrow her need for the wheelchair as her muscles appear to be strengthening. "Hopefully, within the not-too-distant future, she will regain mobility herself," James said. "The vet and myself can't believe how well the chair's actually working." It's clear Bertha's a fighter - and James' refusal to give up on her could mean many years ahead for this plucky rabbit. You can read more stories about people who wouldn't give up on rabbits here and here.